Inspectors testing for red fire ants around Port Botany will widen their net to residential areas. Photo: Alex Wild. 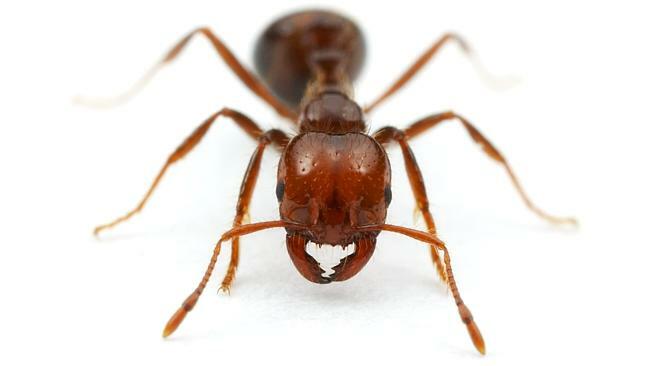 UP to 600 homes in southeast Sydney will be checked for red fire ants as the mission to eradicate the brutal pest continues. The insect, native to South America, was detected for the first time in NSW at Botany Port in November 2014. It is believed they came to Australia on a shipping container. The Department of Primary Industries (DPI) has since launched an eradication program and is now looking further afield to ensure there are no more nests. DPI director of invasive plants and animals Dr Andrew Sanger said all known colonies had been treated.